Yes – using faztplay.com is 100% legal. We have copyright permission to sell and rent all content online from over a dozen providers. 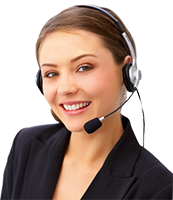 Please call 1-877-345-1745, 24 hrs, 7 days a week in order to speak with our customer service agents, or contact us via email. If you still can't find it, call our support team at 1-877-345-1745. You will not be able to play games using a dial-up connection. Please contact our support team by phone at 1-877-345-1745 , 24 hrs, 7 days a week.